This session will enable the participants to learn more about cyber security, latest threats and trends and the future challenges. It will also enable them to adapt a structured approach for defining their information security requirements, designing an enterprise security framework to address these requirements and what kind of controls are available to protect their information assets. Venue: 6th Floor, Arfa Software Technology Park, Ferozepur Road, Lahore. Furqan has over 20 years of experience in developing enterprise security frameworks, information security management systems, IS audits and quality management. He is an ISO 27001 Lead Auditor & ISO 9001 LA. He is the only SEI Authorized Trainer for CMMI in Pakistan. Over the last decade, Furqan has managed several consulting assignments related to information security across Pakistan & abroad with organizations like Saudi Aramco, Commercial Bank of Dubai, NetSol Technologies, Allied Bank of Pakistan, Ejada Systems and many more. Abid has over 12 years of experience in technology management. He holds a degree in Technology Management from University of London. His notable work experience includes working for the Doha Asian Games held in Qatar in 2006 where he was responsible for technology management for the world’s largest sporting event ever. Over the last 7 years he is involved in information security management portfolio and have worked with technology partners like Raytheon & Lockheed Martin to server a diverse customer base in Pakistan, Qatar, Oman & Saudi Arabia. 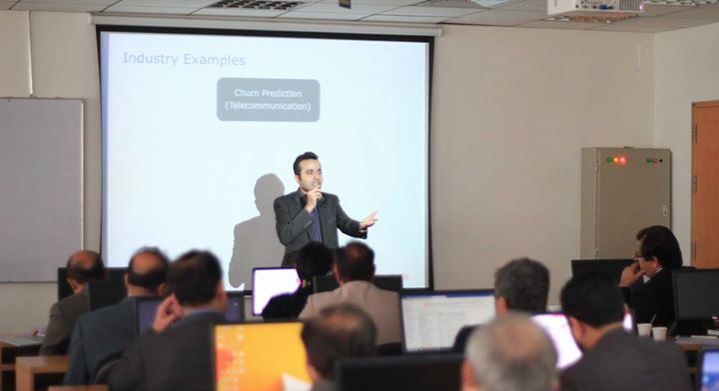 He has conducted numerous workshops on “Developing Enterprise Security Frameworks in Middle East & Pakistan.